Adamus: For all of October, $1 from every Diva Cocktail sold will be donated to Chicagoland Susan G. Komen foundation. Barbakoa: Through Oct. 31, $1 from every Pink Panther cocktail ordered will benefit the Lynn Sage Foundation’s In Good Taste campaign. 1341 Butterfield Road, Downers Grove, 630-852-2333, www.barbakoa.com. Bar Toma: On football Sundays, part of the proceeds from every Tickle Me Pink punch bowl (which is $36 and serves four) purchased will benefit the Susan G. Komen Foundation. 110 E. Pearson St., 312-266-3110, www.bartomachicago.com. Caffe Umbria: Until Oct. 31, Café Umbria plans to donate $1 from every bag of Gusto Crema Blend ($11.50) purchased. Proceeds benefit the Lynn Sage Foundation’s In Good Taste Campaign. 346 N. Clark St., www.caffeumbria.com. 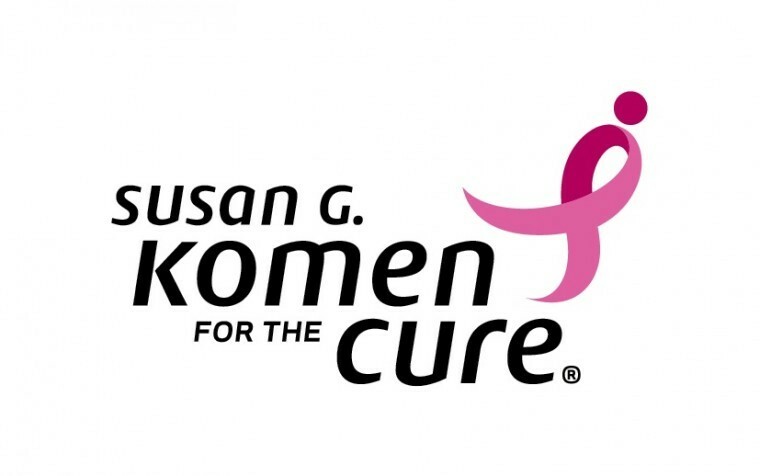 Carlucci Restaurant and Bar: Mention pink table when you make a reservation throughout October, and 10 percent of your dinner check will be donated to Lynn Sage Cancer Research Foundation. 1801 Butterfield Road, Downers Grove, 630-512-0990, www.carluccirestaurant.com. Epic: The proceeds for a specially created pumpkin spice mousse dessert will benefit the Lynn Sage Foundation. This dessert includes pumpkin mousse, ginger cake, candied orange, rosemary cream, and pine nut brittle. 112 W. Hubbard St., 312-222-4940, www.epicrestaurantchicago.com. Fabulous Freddies: The restaurant will donate 25 cents from every breakfast steak sandwich sold throughout this month to the Lynn Sage Foundation. 701 W. 31st St., 312-808-0147, www.freddieson31st.com. Kanela Breakfast Club: For all of October, a portion of the proceeds from every red velvet French toast purchased at all Kanela locations will benefit the Lynn Sage Foundation’s In Good Taste campaign. Visit www.kanelabreakfastclub.com for locations and phone numbers. Labriola: Both restaurant locations are donating $1 from every pink coconut cake sold this month to the Lynn Sage Foundation. Visit www.labriolacafe.com for locations and phone numbers. MAK Restaurant: For all of October, guests can purchase one of three chicken bowls, and a portion of the proceeds will be donated in honor of breast cancer awareness. Options are the MAK chicken bowl General MAK chicken bowl or the MAK wrap with chicken breasts. 1924 W. Division St., 773-772-6251, www.makrestaurant.com. New York Delicatessen: The East Lakeview location will donate a portion of the proceeds from every pink strawberry milkshake sold to the Lynn Sage Foundation’s In Good Taste Campaign. 2921 N. Clark St., 773-799-8642, www.secondcitydeli.com. P.F. Chang’s: To help meet its national goal of donating $100,000 to support breast cancer awareness, the Asian chain has launched its second annual Try a Taco, Take a Pic campaign. The proceeds for the Jicama Street tacos will benefit the American Cancer Society, and if you share a photo via Twitter or Instagram with the hashtag #PFChangsPink, your picture may be included in a digital mosaic on the restaurant’s website! 530 N. Wabash Ave., 312-828-9977, www.pfchangs.com. Riva: $1 from every dish marked on the menu with a pink ribbon will benefit the Lynn Sage Foundation’s In Good Taste campaign. 700 E. Grand Ave., 312-644-7482, www.rivanavypier.com. Sanfratello’s: If you donate $2 at the restaurant to the Lynn Sage Foundation during October, a free pizza fritz will be added to your order! 17823 S. 80th Ave., Tinley Park; 708-444-0055. Stan’s Donuts: For every pink doughnut purchased at the Wicker Park location, Stan’s will donate 25 cents to the Lynn Sage Foundation. 1560 N. Damen Ave., 773-360-7386, www.stansdonutschicago.com. Stretch: The Wrigleyville restaurant is hosting an event at 8 p.m. Oct. 22 to benefit the Lynn Sage and the Anthony Rizzo foundations. A $30 ticket to the Strike Out Cancer party will include a drink package, dessert, candy buffet and a raffle ticket. Also, the restaurant plans to donate $1 from every Ketel One cocktail sold all month to the Lynn Sage Foundation’s In Good Taste Campaign. 3485 N. Clark St., 773-755-3980, www.thestretchchicago.com. Sweetwater Tavern and Grille: $1 from every Peartini cocktail will be donated to the Lynn Sage Foundation. 225 N. Michigan Ave., www.sweetwatertavernandgrille.com. Tanta: The restaurant will donate $4 for every La Guapa cocktail sold, and the proceeds will benefit Chicago-based Bright Pink. 118 W. Grand Ave., 312-222-9700, www.tantachicago.com. Toni Patisserie: The restaurant is selling raspberry macarons with a pink frosted breast cancer ribbon, and fifty percent of the proceeds from the purchase will benefit the Lynn Sage Foundation. 65 E. Washington St., 312-726-2020, www.tonipatisserie.com.